Castiel. TV Male Icontest, Theme: Black. 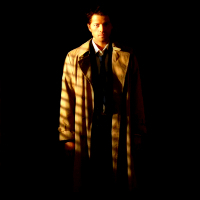 Images in the Castiel club tagged: photo supernatural castiel. This Castiel icon might contain बिजनेस सूट, सूट, कपड़े का सूट, थ्री - पीस सूट, and तीन पीस सूट.